According to Rightmove data, the average price of property coming to market was up by just 0.4% this month - equating to +£1,287. The subdued start to the traditionally busy spring period saw the lowest average monthly rise at this time of year since 2011. Prices outside the capital faired a little better with nine out of 11 regions seeing new-to-the- market sellers pricing higher. London continues to be the main drag as nine out of 11 regions still see new-to-the- market sellers pricing higher than a month ago. Prices in London are down by 1.1% on the previous month, and the other region to record a monthly fall is the North East, down by 1.3%. Their respective pricing histories are very different however, with London prices still 68% higher than ten years ago and buyers looking for prices to settle at a new level of fair value. In contrast, the North East has seen new seller asking prices up by just 8% in the same time-span. As the clock ticks down towards the Brexit deadline it is natural human behaviour for more buyers to hesitate. 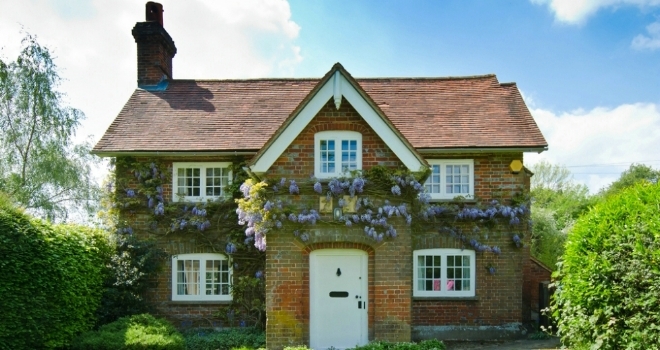 The number of sales agreed by estate agents in February was 7% below the same period in 2018, compared with a year-on-year fall of 4% recorded in January. However, search activity on Rightmove remains steady, with the number of visits to the website staying level in the year-to-date. This indicates that home-movers are keeping a watching brief which could lead to an eventual bounce if and when the uncertainty abates. Brian Murphy, Head of Lending for Mortgage Advice Bureau comments: “The latest report from Rightmove highlights what we’ve been seeing on the ground for some time, which is that whilst the market in London and the South East remains subdued, in other regions of the UK the momentum continues with buyers transacting in reasonable numbers despite the current political and economic climate. Movers are supported in no small part by some of the most competitive mortgage rates we’ve seen for some time, with many lenders reaching the end of their financial year and therefore releasing headline rates in order to attract new business onto the books. The fact that Rightmove has reported their traffic levels have remained steady over the past month entirely isn’t surprising; we would suggest that the pent-up demand in many areas, probably due as much to a lack of available homes for sale restricting choice as hesitancy due to the lack of clarity around Brexit, is likely to mean that those buyers who’ve held off moving are now deciding to take the plunge. Marc von Grundherr, Director of Benham and Reeves, commented: “It would seem that the London market continues to see the price expectations of its home sellers reduce on an on-going basis as a result of wider political and economic influences. This is most prevalent across the inner boroughs of the capital where prices have spiked previously and so any adjustment, Brexit induced or otherwise, is always going to be fairly drastic. However, with the news that a no deal Brexit is now off the table, we have seen strong interest from both domestic buyers and investors across Shanghai, Hong Kong Singapore and Kuala Lumpur in the last few days. Should this persist we could see the pulse of the London market strengthen as the year goes on. Ironically, Rightmove’s figures suggest that the Westminster property market has taken the brunt of the London decline and while MPs have been voting against the prime minister, they’ve seen £62,000 wiped from the value of their second homes. Alastair McKee, Managing Director of One77 Mortgages, commented: “We’re still far from out of the woods where Brexit is concerned and we will continue to see asking prices adjust to more natural levels to account for this. However, while they may be some way of historic peaks, three consecutive months of positive growth suggest that a degree of confidence is returning to the market. Andy Soloman, founder and CEO of Yomdel, commented: “While Brexit continues to stick in the throat of the UK property market it's clear that the further you move from the shambolic epicentre of Westminster, the less it phases UK buyers and sellers. The property market in Westminster is on its knees but in contrast, the North West and Scotland are positively on fire. The Midlands, Wales and Yorkshire are also more than holding their own and thankfully the fragmented nature of our property landscape means these frontrunners are holding the proverbial head of the UK market above water.